When games of ‘I Spy’ are starting to wear thin, switch to ‘Fortunately/ Unfortunately’. If you are not familiar with this no-equipment-required (except your imagination) game, start with the book Unfortunately. 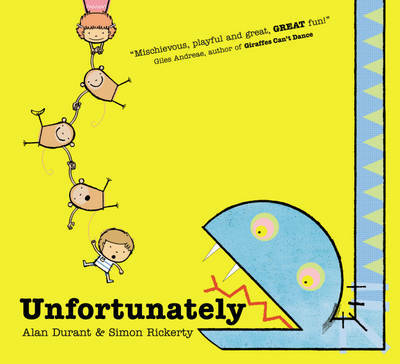 Unfortunately by Alan Durant and Simon Rickerty is a fun visual introduction to the classic game Fortunately/ Unfortunately. Durant and Rickerty have created an action-packed story with loads of fantastic plot twists and turns. The story starts with a boy walking through a jungle. Unfortunately, a lion tries to get him. Fortunately, he escapes by climbing a tree. Unfortunately, a mean and hungry snake is poised to snaffle him. Fortunately the boy grabs a vine and swings away… and so the story continues, switching from seemingly dire situations to lucky escapes, quick thinking and good fortune. Like the best games of Fortunately/ Unfortunately, the story is fanciful – the crazier and more surprising the plot, the better. Yet Durant’s storytelling and Rickerty’s spot-on illustrations keep the book well-paced and create the perfect rhythm of suspense and solution. The story comes to a neat conclusion – although leaves the option for a sequel! 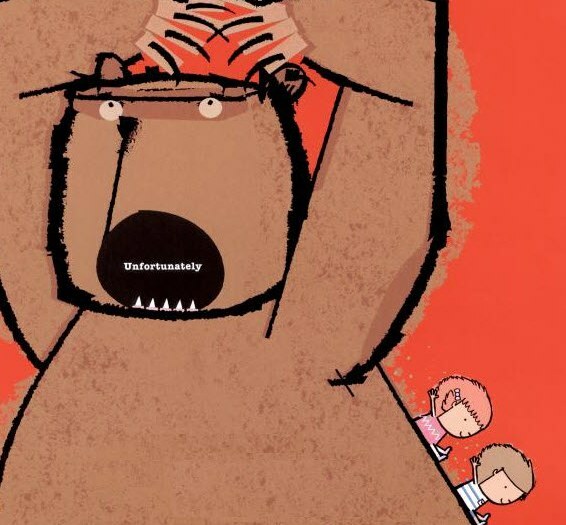 Unfortunately is well suited for pre-schoolers however older children will enjoy it as an introduction to their own games of Fortunately/ Unfortunately. It’s available from Book Depository for $9.60. Book Depository ship free-of-charge to Australia.